Play’n Go is an award winning developer of online slots and other casino games. The company operates for almost two decades, but it took them few years to find their mojo. Since then, it’s hard to stop them and Play’n Go slots are added by more and more online casinos. The slots feature superb design and innovative bonus features. They’re perfect for mobile play on iOS, Android, Blackberry and Windows Phone. Many of them offer high payout percentage and high winning odds. Here you can find a list of best Play’n Go casinos. We also prepared a list of Best Payout Play’n Go slots for you to use to increase your odds – you can find it at the bottom of the page; and of course some Free Slots. Energoonz: 97%. Funny 5×5 layout slot with cool design, funny icons and high RTP. Gold Trophy: 96.98%. Simple Golf themed spin and win slot. Gold Trophy 2: 96,88%. 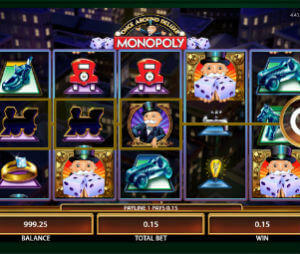 Similar slot with updated design and high payout. Pearls of India: 96.87%. Colourful game with x10 multiplier and a jackpot of up to 1,000,000. Easter Eggs: 96.75%. Funny Easter themed slot with 3 free spins variations. Gemix Slot: 96.75%. Unique 7×7 layout slot, stacked with multiple bonus features. Amazing slots dedicated casino by the guys behind Casino Cruise. Huge variety of games, but dozen software providers. New players can enjoy a monster welcome bonus package of up to $/€/£ 1000. 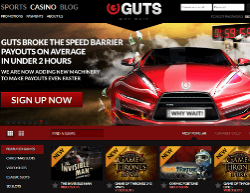 Guts is a superb gambling site with a huge selection of slots by 10 different providers: NetEnt, IGT, BetSoft, Micro and Play’n Go. The operate in all major currencies: USD, Euro, GBP, AU$, CA$, NZ$. It offers the quickest payouts. All e-wallet withdrawals are processed withing the same day. Credit cards take 12-48 hours. 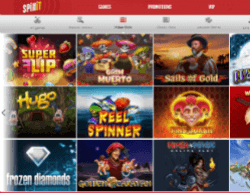 New players can enjoy 100 Free Spins combined with $/€/£ 300 cashable bonus. 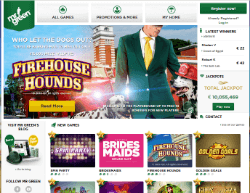 Award winning casino with over 800 casino games and slots. New players can enjoy a high welcome bonus of $/€/£ 350. The bonus is cashable and comes with only bonus*35 wagering requirements. Restricted Countries: USA, Australia, Belgium, France, Italy, Spain.